There is this little fruit stand that always pops up in the summer on the corner of 52nd and SE Woodstock, I always stop and get strawberries or whatever other freshly picked fruit they have. This year they have moved, just kiddy corner to where they used to be (still on 52nd and Woodstock but now on the NW corner). 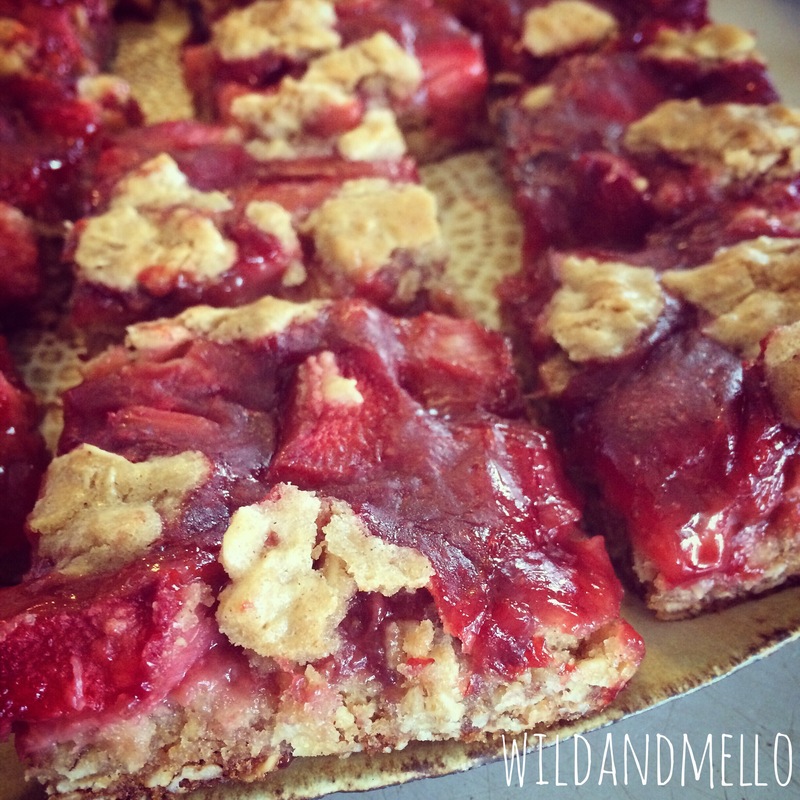 I had bought some rhubarb and wanted some strawberries so I picked some up after getting Lilly from school and after perusing Pinterest for a recipe decided on strawberry rhubarb oatmeal bars. The only thing I might have done differently was use a smaller pan since I seemed to only have a small amount of cookie dough left to sprinkle on top or just make more dough.